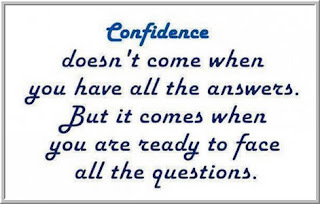 One of the most common questions I hear from traders is how they can trade more confidently. Nothing is quite as frustrating as developing good ideas and then not having the confidence to properly act on those ideas. Where does confidence come from? In this recent article, I address this question and why it's important. 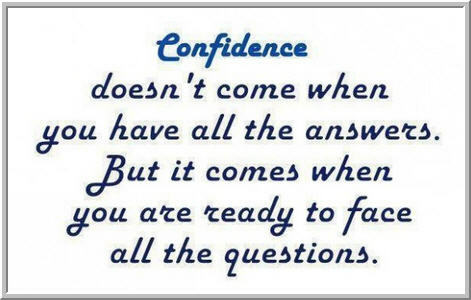 Once we view confidence as a way of processing self-relevant information, we can literally learn to be more confident in our trading, our personal lives, and in our careers. 2) Negative self-talk - When we focus on everything we could have done better and everything we did wrong, we create mini failure experiences for ourselves over time. Our self-talk reflects our relationship with ourselves. How can we feel confident in who we are and in what we do if we're constantly tearing ourselves down? 3) Not playing to our strengths - Many traders attempt trading styles that don't match their personality and cognitive strengths. Over time that generates frustration and erodes confidence. Trading frequently when we function best as big picture idea generators inevitably exposes us to noise and randomness. Imagine each day and each week beginning with challenging, meaningful, and doable goals. Over time, you build a library of success experiences and internalize the sense of being successful. True confidence is earned, but it's also learned. It's the expression of optimism, as applied to our selves. Confidence, like its absence, is ultimately the conversation we choose to have with our selves.